As you begin to settle back in the 2018-2019 school year, many of you will begin to learn a lot about the different areas within the field of data that you may find interesting. One of those areas will be the study of numbers. Once upon a time, when mentioned in conversations or in the classroom, numbers in general were referred to as either Mathematics or Statistics. Now, data can be included to terms used to refer to numbers. if you do a quick google search for ‘describe data’ you get nearly 5 trillion hits, or more data! Now that is a lot of data! 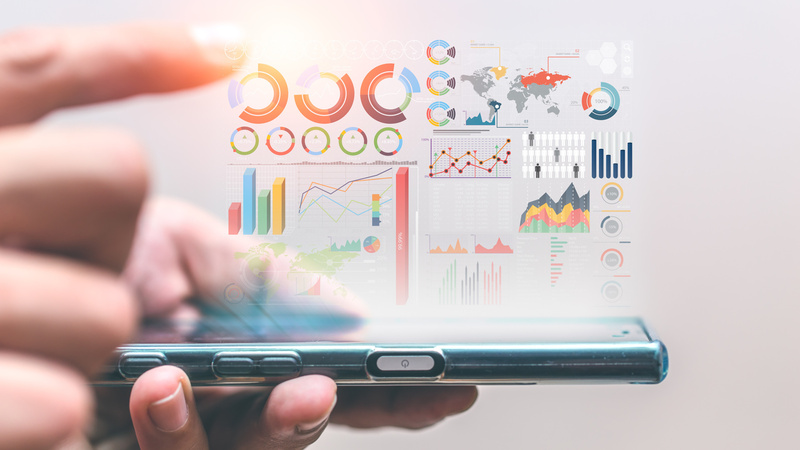 One question we hear a lot from students is, “what is the differences between big data, data analytics and data science?” — Now this is a great question but one that is difficult to answer as the concept of data is continuously changing. Although the definitions of each may be a little different from person to person we can describe each by providing insight into what skills or knowledge is needed for a successful career in each area. Big data is used by hospitals and medical professionals to improve the quality of patient care. The data allows them to develop care plans across several patient demographics. Big Data is used in the shipping and supply chain industry to determine which products should be moved from one area to another and how traffic and/or weather can impact their costs. Big Data is used in the banking industry for asset management, wealth building, investments, and assessing fraudulent transactions. Big Data is used in Wall Street to determine when to buy and sell stocks after information from consumers is revealed. Big Data is used to determine which ads you and I see on social media platforms like, Facebook, Twitter, Google or any other online channels you use! Ever wonder why you get ads on all of them after you search for something on Amazon? Big Data! Data Analytics is “the science of examining raw data with the purpose of drawing conclusions about that information” (Monnappa, 2018). You probably do this a lot already when you balance your bank accounts, or tally a score in a class, or even look at how one set of numbers correlates with an outcome. The analysis of data allows you to determine possible outcomes and make better decisions using numbers. Many of us do this every day without even knowing it, but for those who have a real passion for understanding problems through the use of data. We get data, we review data, we make correlations (how one impacts the other) about the data, give insights about what we find. Now Data Analysts use Big Data in their work as they work on solutions for certain problems or achieve specific busness goals. They may be asked to develop a story about why students use Snapchat more than Facebook to share their life photo moments. As a Data Analyst you would use your programming, math, and visualization skills to tell the story of possible reasons why this may be true. Data Analysts look at one (1) problem to determine one (1) or more solutions for that one (1) problem before they move onto their next task. Data Science is “a field that is comprises of everything that is related to data cleansing, preparation, and analysis” (Monnappa, 2018). Data Science is more of the umbrella of all that is data. A Data Scientist looks at one (1) problem and not only determines at least one (1) solution but also how this problem may be related to another issue or other solutions that would have a cause and effect to another decision or strategy that must also be looked into. Again, if you think of Data Science as the whole house you can begin to understand how much bigger the concept and role is. Here are some of my favorites and helpful graphic illustrations! There are also a number of classes that are currently taught at Minnesota State Colleges or Universities that can move you forward. Anoka Technical College – Business Data Analyst Program. In this program you will have an in-depth study of a wide variety of data courses that cover topics such as data mining, data analytics, data patterns, synthesizing data and information delivery and reporting. Hennepin Technical College – Data Analyst Program is a 60 credit AAS degree program that looks at analytical and statistical skills as well as database management, data warehousing and data manipulation. Other Colleges throughout Minnesota state also have programs focused on data. Century College – Applied Big Data Analytics, Metropolitan State University – Grad Level Certification in Business Analytics, Lake Superior College – Business and Technology and so many more! To find out which programs are available and which fits your passion and needs explore: minnestat.edu and search Programs. A career in data can be very lucrative. If you are interested in the field of Data you have many options and remember you do NOT have to have a Statistics Degree or be a Mathematician to be successful in data! Get involved and participate in area data camps, competitions, and learning opportunities! Contact, Janice Aanenson at Janice.Aanenson@metrostate.edu or call (612) 659-7221.